Leon Hsu, M.D. is a board-certified dermatologist who joined Dermatology & Laser Associates of Medford, LLP in September 2016. 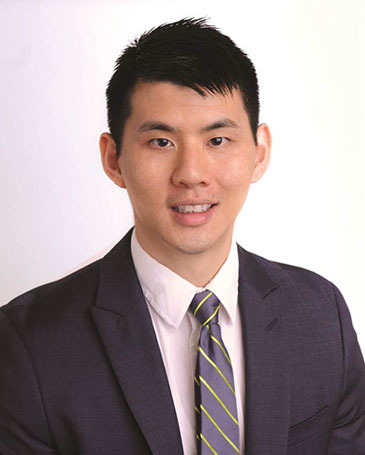 Dr. Hsu completed his dermatology residency at Stanford University in June 2016. He earned his undergraduate degree at Stanford University and his medical degree from the University of California, Davis, where he was elected to the Alpha Omega Alpha Honors Society and the Gold Humanism Honor Society for his leadership and compassionate care of patients. He then completed his medical internship in New York City at Memorial Sloan Cancer Center, where he was awarded Physician Intern of the Year. Dr. Hsu has conducted research and published academic papers on psoriasis and phototherapy and has spoken at local and regional conferences. His clinical interests include general dermatology, pediatric dermatology, skin cancer prevention, and surgical removal of skin cancers and benign lesions. He aims to provide outstanding and compassionate dermatologic care for his patients and is excited to serve the Southern Oregon community. A native of the Bay Area of California, Dr. Hsu now lives in Ashland with his wife, son, and their cuddly dog, Matty.